How do you put the essence of spring on a plate? One of my favorite sights of the season is the abundant wave of fresh green vegetables that flood the market. I get my fill of artichokes, asparagus, fava beans and peas while I can. Tucked away in their bright green pods, English peas arrive each spring with a sense of urgency. Their quality largely depends on how quickly you can get them from vine to plate. The sweet sugars start breaking down into starch as soon as they’re picked. 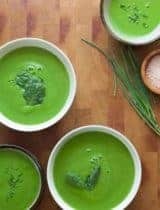 Making the most of the most of this tender green vegetable requires some time and patience to shell, but it’s worth the investment if you happen upon some fresh ones. Frozen peas, however, are a sure thing. Frozen quickly after picked, they lose none of their pea essence and retain a tender sweetness long after the season is over. Fresh peas are a wonderful thing if you have them, but I’m not going to snub their frozen counterparts. 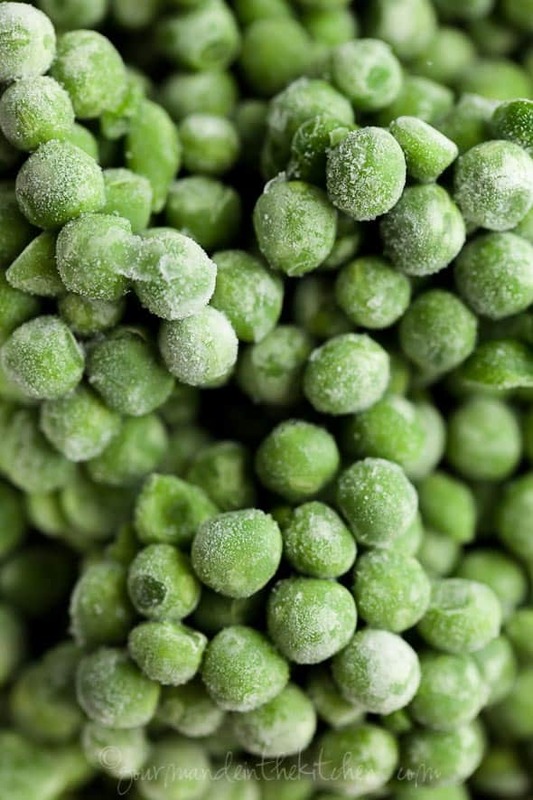 A bag of frozen peas sits in my freezer year-round. That being said, either frozen or fresh, they benefit from a short bath in some boiling water. Blanching the peas brings out their sweet bright flavor while retaining their snap. I paired my peas with a delicate almond flour crust and creamy herbed goat cheese filling. Peas have a natural affinity for tangy goat cheese and Greek yogurt which further showcases their sweet side. 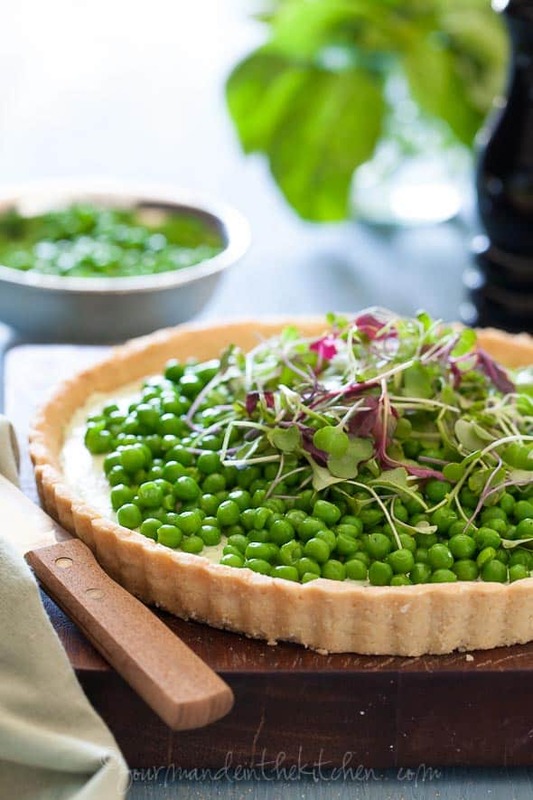 The tart features a creamy filling laced with fresh herbs, balanced with a layer of blanched peas and a handful of colorful micro greens. 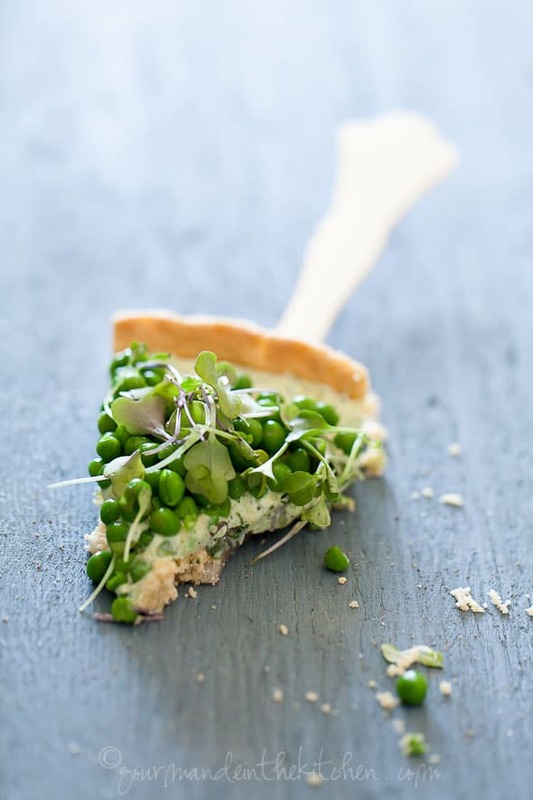 The herbed goat cheese is soft and unctuous and the peas still slightly firm yet yielding as you bite into this tart bursting with spring flavors. Serve this savory pea and herbed goat cheese tart for brunch, lunch or dinner, perhaps with a couple glasses of crisp white wine. 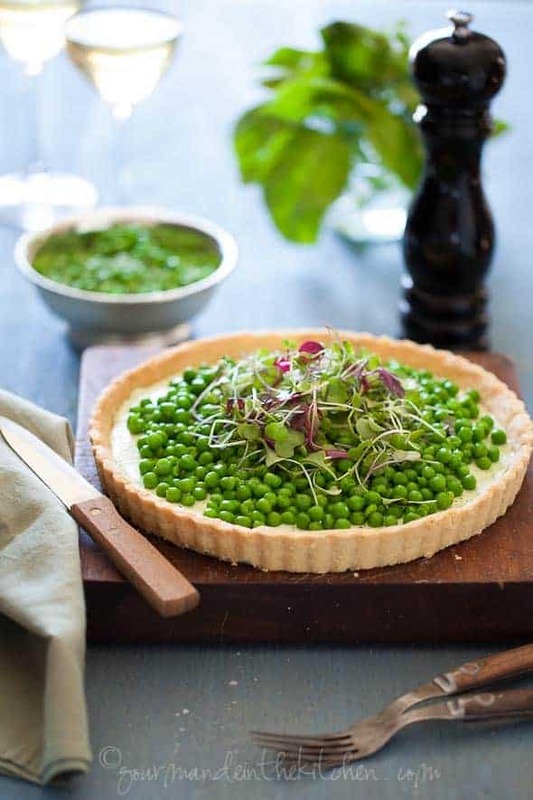 The tart features a creamy filling laced with fresh herbs, balanced with a layer of blanched peas and a handful of colorful micro greens. In the bowl of a food processor, add the almond flour, butter, egg white, and salt and pulse until the mixtures starts to come together. Place dough in a well greased tart mold, pressing down firmly with your fingers up and around the edges to create an even layer. Prick the bottom of the shell all over with a fork. Put the tart shell in the freezer for 20 minutes while you heat the oven to 350 degrees. 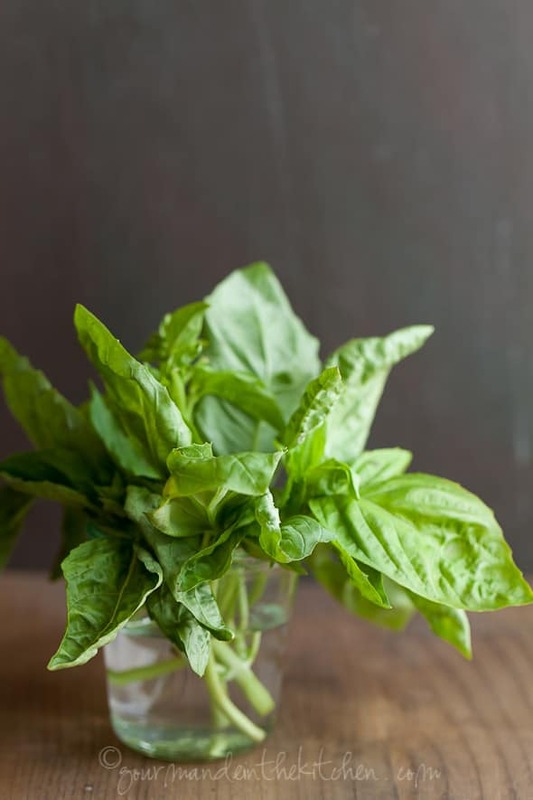 In a food processor, blend together the goat cheese, Greek yogurt, fresh herbs, olive oil, and a pinch of salt and pepper and pulse briefly to combine. Bring water to a boil. 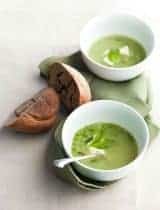 Blanch the peas for about 2 minutes, then shock them in a bowl of ice water and drain. When the tart shell has cooled, spread the herbed goat cheese filling evenly over the surface with an offset spatula, then cover the entire surface with a layer of peas. Top with the micro greens, drizzle with a little extra olive oil and season with salt and pepper to taste. Cut the tart into slices and serve. Gluten Free, Grain Free, Vegetarian NOTE: You will need a 9-inch removable-bottom tart pan; the tart shell can be made ahead of time. How do you put spring on your plate? This is spring on a delicious tart! A must try! Looks so good Sylvie. Lovely touch with the microgreens on top. For me- spring is strawberries and that's what we put on our plates currently!!! I adore peas... and the idea of adding them to a tart is just fabulous. The mint and assorted other herbs are just delightful. Such a lovely pairing. The tart looks gorgeous Sylvie. I don't know why I thought a gluten free shell can not retain its shape that well. Yours just changed my mind. And yes peas are certainly on my favorite list. This is such a lovely, elegant tart, Sylvie. Beautiful tart, Slyvie! It screams spring. What a gorgeous tart this is, Sylvie! I love all the fresh spring flavors you've used! I'll take Spring on a Plate anytime! I adore peas and agree that frozen can be a nice alternative when fresh isn't available (just not the canned!). Gorgeous photos, as always! Wow - so unique and interesting but i love it! Looks awesome! What a beautiful picture of spring! My kids love peas and goat cheese so I'll be making this for them soon! That's a beautiful tart! The only way I like peas is fresh out of the shell, actually. But your tart is still lovely! You call this 'spring on a plate'... I call it 'heaven on a plate.' Some of my faaaaavorite flavors, all in 1 amazing tart. What a gorgeous tart Sylvie! It screams Spring indeed! What delicious recipe! So fresh and full of spring and summer flavors. I love the goat cheese and Greek yogurt - they're some of my favorite flavors to mix together. As a pea lover, and a Spring lover, and a tart lover, this has it all. It made me smile today. beyond fabulous!! I want this for dinner! so lovely, sylvie! i love fresh english peas... and we must've both had cheese tarts on the brain. delicious! 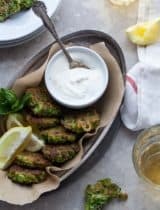 I adore peas and goat cheese, so this has be the most perfect recipe I've seen in a long. Happy Spring! What a beautiful way to celebrate the lightness and freshness of this season Sylvie. This is a beautiful tart, and I love the almond flour shell. Gorgeous! What a beautifully healthy and delicious tart for Spring Sylvie - you amaze me with each new recipe you post. So pretty, Sylvie! I've been enjoying fresh peas in a salad with shallots & a Dijon-lemon vinaigrette. The peas look so pretty scattered all over the top rather than baked into the tart! 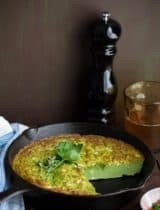 Almond flour tart and the greenest of green peas..I am in..and love the sprouted peas in the tart. Another big hit!! This looks and sounds so delicious! What a beautiful spring tart! Your pictures are soooo beautiful! What a beautiful post! Love how you are playing with colors here. This is just fabulous Sylvie! Although, I am quite partial to fresh peas, way more often than not, it is the frozen variety that finds its way in to my tummy. I love that you used almond flour for this tart, and it is going to be a must make for me very soon! HI Silvye :) I missed your pics, they're beautiful as usual.. and I love your fresh and delicious tart as well, it looks so good! This is stunning. I love the way you describe how the peas and goat cheese compliment each other. I can't wait to try this tart crust recipe too. Looks wonderful! This looks gorgeous and sounds so delicious Sylvie! Okay, I have admit it: I do enjoy Autumn down here, but I can't help and feel a tad jealous of your Spring... A fresh and beautiful tart ! This is lovely. I love the combination of the fresh peas with the creamy goat cheese, so perfect for a Spring weekend brunch. Beautiful!!! Such gorgeous tart with wonderful flavor.. Perfect for spring!! Aah like a breath of fresh air and oh the lightness! Is my first time to your site,I see on foodbuzz top 9 today,Congrats,amazing and gorgeous looking tart,welldone !! Is there anything more perfect than fresh peas? I remember shucking them when I was a kid! Your tart is absolutely perfect, Sylvie! this is spring in food form. Airy and light and beautiful. Now if only I could come to enjoy peas. Beautiful! Wow. This post definitely sums up Springtime. Perfectly! Yum and yum! I'm always looking for tart recipes and this one looks fab. Love goat cheese!!!! thanks for sharing. Sylvie, You have given peas a new purpose in life!! I have peas all year in my freezer as well manly because that is my two oldest kids fave vegetable and so quick to get it prepared! I love your idea, very pretty and Delicious looking tart! I love the colors, but the almond crust is intriguing. I sounds so good! Since we´ve been having a very warm, sunny autumn here, and I always have peas in my freezer, this is just the tart to enjoy outside. Gorgeous gorgeous tart! Hadn't imagined peas in this avatar..
this is so beautiful! yes, peas! I don't like peas or goat cheese but this looks absolutely amazing! Such pretty colors. Peas are my favorite frozen veggie - we go through LOTS of them!! And FRESH peas are truly a luxury. I can remember picking them by the bucket on the farm, from Mom's garden. Such a sweet treat. Your tart looks absolutely mouthwatering. I have nominated you for the One Lovely Blog Award! Stop by my blog for the details :) Have a good day! That's so nice of you to nominate me, thank you! Your tart crust is absolute perfection! I love the tangy, creamy goat's cheese with sweet, delicate peas. Such a wonderful combination. Spring on a plate indeed! What a lovely and bright tart...beautiful! 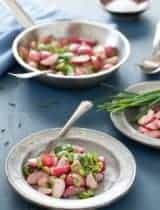 I have been enjoying peas, too, and just had some today in a refreshing pea salad. This is just another stunner, Sylvie - I love every bit of this tart! Love that you went straight for "a couple glasses of crisp white wine" without feigning that one would be enough! ;)Spring on a plate, indeed! This is beautiful and looks very good! It really does look like spring on a plate. There is such a fresh feel to the tart. Such an elegant looking tart! Love the combination! I've seen this tart floating around pinterest for a while now. I should have known something so pretty and yummy would be yours! I definitely will be trying this soon. Spied this on pinterest and was not surprised to discover you were behind it. It looks delightful! This looks phenomenal. Peas haven't arrived here yet but I'm bookmarking this for when they do. You're making me hungry! This is beyond words beautiful! That makes me so happy to hear, I'm glad you and your boys enjoyed it. Thank you for taking the time to come back and share your experience with it. how gorgeous and fresh looking! Hi Sylvie, What a stunning looking tart. And I'm really interested in the almond flour crust as well -- do you think it would work well for other applications -- such as wear the filling has to be baked as well? 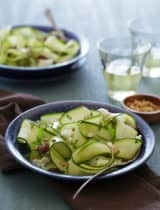 Or do you think the filling has to be no-cook as in this recipe? Thanks! Hi Anu, It will work just fine for baked in fillings, but make sure you pre-bake the crust to set it and firm it before filling and baking. Wow, thank you for this wonderful recipe. I finally got around to trying this out. I used your recipe for the crust, baked it without any filling for 15 minutes at 350 F as above. Then I let it cool for a few minutes, and filled it with a rather haphazardly thrown together filling of 2 eggs + 1 egg yolk (leftover from the 1 egg white for the crust), 1/3 cup cream and 4 oz goat cheese. Then I topped the whole thing with roasted tomatoes and baked for 20 minutes at 350 F again. It was phenomenal! I can think of so many uses for this beautiful crust. Glad you liked it, your filling sounds delicious! Like you I never snub the frozen peas and have boxes of organic frozen peas in my freezer all year round! Love the vivid and soothing green of this tart, paired with the goat cheese - simply awesome! I think this could finally convince my husband that peas are not the devil's food. Stunning dish. I love that this is served cold. 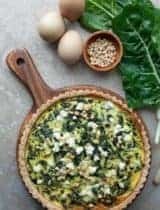 I am searching for recipes that can easily be served at an outdoor wedding. Are tarts usually served warm, or will most cheese and fruit or veggie tarts taste fine cold? I think most savory tarts will be just fine served at room temperature and should hold up well for a wedding reception. Oh my, it looks so delicious! 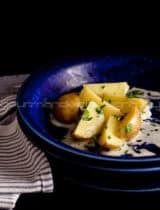 Can't wait to try it - although I now live abroad, I am Italian, and I can't resist scrumptious recipes like this ;) And your pics are just gorgeous! Thank you so much for sharing, and big hugs from Sweden!